What is lead nurturing? 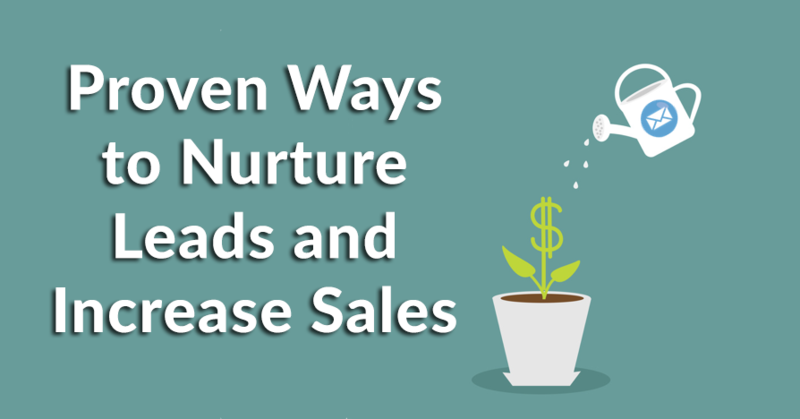 Lead nurturing pertains to those steps you need to undertake in order for those new contacts, referrals actively generated by your marketers and sales teams on the field become active buyers of your company’s products or services. In essence, lead nurturing is about creating a buyer who also knows your business intimately, much like how two strangers push a relationship further from a simple blind date to a long-lasting marriage. Along the way, you’ll want to educate them and build trust as you usher them from top of your sales funnel to the lower part of it. While you are probably reaping the rewards of aggressively improving the quality of your leads and marketing, there remain those steps to see that the increased number of prospects created by your marketing and lead generation efforts become truly paying customers, otherwise they’re still just dead weights in your continuously burgeoning contacts list. What are these steps then? For a start, these could take the form of simple but timely follow-ups, targeted content, personalization, multi-channel nurturing and multiple touches. There is an urgent, sobering reason why you would like to have a decisive strategy to convert your leads into an actual paying customer: around 27% or less—of those leads will actually be ready to make an immediate purchase, leaving the bigger number inert data in your system. And buyers today are not the herd buyers they tended to be in the past. Rather than wanting to be “sold,” they want to be listened to, dismantling old selling paradigms that marketers and sales forces used to enjoy in the past. With all the information readily available now, buyers will take their time to learn more about any product and weigh their options carefully before finally making a purchase. What’s more, you could be closing the door to that purchase if your sales team is too aggressive and becomes an annoying pushy presence when a lead is far from ready to initiate the purchase. If you are in the habit of this kind of lead mismanagement, you’re part of the reason companies are losing around $1 trillion each year—a staggering amount by any reckoning. That figure could easily climb to 20%, however—once you are able to run an effective lead nurturing program. This is in direct contrast to that figure of less 10% that we cited above. Not only that, you could easily be generating as much as 50% more sales at a 33% lower cost once you have implemented your lead nurturing strategy carefully. One thing, however: these figures also come in the face of a study showing that just 36% of marketers do actively nurture their sales leads. You and your competition could be among those 36%, but now you have a chance to look at the strategies laid here and consequently get ahead of your competition immediately. Before we proceed laying out how to get started with those lead nurturing strategies to help you generate more actual sales, we must remember that lead nurturing is only of the crucial components of an effective inbound marketing strategy. For example, you might ask what do those hyper successful sales and marketing celebrities do differently? Okay you might not want the limelight, but you probably want the safety of a hefty bank account. These resources are some of the best you will get in such short, easy-to-digest form anywhere in the internet, culled from expert insights gained from years of experience on the field and the best practices that grew out of them. Not all leads are created equal: for this reason, 68% of successful marketers cite lead scoring based on content and engagement as the most effective strategy for improving revenue generation from lead nurturing. While you’d think that everyone would be adopting lead scoring because of compelling research like that, in fact another study indicates that only 21% of B2B marketers are using lead scoring. But what is lead scoring? In simple, direct terms, lead scoring is about applying a scale that represents the perceived value of each prospect to rank them accordingly. For example, it could entail assigning numeric values to certain social media interactions, website browsing behaviors or conversion events. Sales rep then go after those prospects with the higher scores. Several research studies confirm that the odds of converting a lead into a sales opportunity get exponentially higher when the lead is contacted immediately following a website conversion. Within five minutes, for example, you get 21 times more chance to nudge the lead right into the actual sales process compared to doing it within 30 minutes. There is no one-size-fits-all in lead nurturing. Once you take that into account, you can increase your sales opportunities by more than 20% when you nurture your leads through targeted content. Targeted marketing requires that you start with more than skin-deep information about any prospect: deeper things like their interests, marketing triggers, any identifiable goals. Those information can then help you segment your prospects and automate and scale your inbound marketing strategy. Retarget marketing uses ads specifically for delivery to people who have already visited your website or engaged with your content. A good example of retarget marketing to nurture leads is abandoned cart recovery in ecommerce, when people place products in their online shopping carts but leave or “abandon” them before concluding the checkout process. You can heed the approach of online retailers who have taken to delivering display or social media ads to encourage these users to return and complete their purchase. If you are active in social media, you are probably aware of how Facebook itself offers a robust set of tools for retarget marketing—a handy tool if you are looking to embark on this direction. Expect to generate up to 6 times more revenue per personalized email than non-personalized emails. Email marketing remains the most effective tactic for lead nurturing—and personalized emails also consistently produce significantly better results than generic email blasts—up to six times higher revenue per email than non-personalized campaigns do. There are multiple ways you can personalize your emails and be on track to better lead nurturing results. You can send triggered emails when someone visits certain pages on your website, demonstrate a high level of engagement, downloads your gated content, or when they click on links in your emails. Triggered emails based on behavior along with careful marketing personalization—marketing messages to the right people at exactly the right times—could easily bring that six percent more revenue to bear. Four out of five marketers say their email open rates don’t exceed 20%, clearly indicating that the time has come to move beyond the inbox. This development is in direct contrast to those times when nurturing leads simply means setting up a simple email drip campaign to send out generic emails to a list of prospects. Things have changed so much and now email-only lead nurturing strategies suffer from a few problems that’s proving trickier to negotiate. For example, how do you deal with email open rates not even exceeding 20% as indicated earlier? On top of that, 79% of marketing leads never really convert into sales. A lack of effective lead nurturing is the common cause of this poor performance. How then to go beyond these limits of email?  Through a battery of multi-channel lead nurturing strategies. In current practice, this involves a combination of social media, paid retargeting, direct sales outreach, marketing automation, dynamic website content and yes, a sprinkling of email marketing. With so many connected tactics involved, you will want to ensure that your sales and marketing and working closely with one another to push this to a successful implementation. From the time they enter the top of the sales funnel, prospects receive an average of 10 touches before they become a closed-won customer. Of course each buyer’s journey will vary depending on each one’s profile. Another study, however, suggests that 49% of marketers include less than five touches in their lead nurturing programs. Do you belong in this category? If you do, it’s high time you review your nurturing efforts and do something about them. By addressing any prospect’s questions and concerns, the most successful lead nurturing strategies deliver content that helps prospects effectively progress through the end of the buyer’s journey. For this, consider augmenting your email campaigns with a mix of content types like blog and social media posts, interactive calculators, white papers or even direct mail to turn prospects into customers. As much as 89% of companies that share responsibility for their sales and marketing lead nurturing efforts report measurable increases in the number of sales opportunities generated. 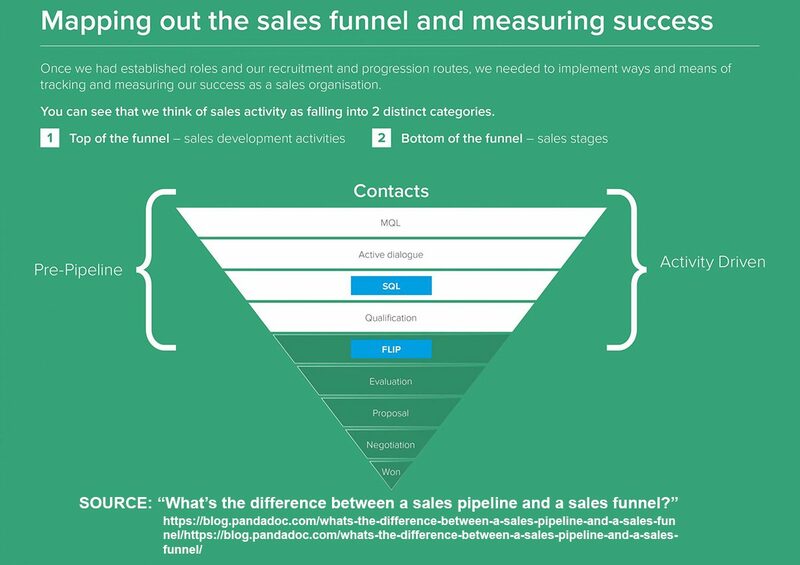 To get this sharing of lead-nurturing responsibilities on right footing, you need to clearly define when prospects should be transitioned for each team as the prospects progress through the sales funnel. In particular, you may consider using such triggers as pageviews, lead scores, workflow enrollment or conversion events to transition leads from marketing to sales. In creating your lead nurturing strategy, think about how you can use triggers like lead scoring, pageviews, workflow enrollment, conversion events or sales contact to transition leads from automation to direct one-on-one outreach. To eliminate those familiar bickering between these two teams, consider clearly outlining the expectations and responsibilities involved in some sales and marketing service level agreement (SLA). This will help the two teams have a clear, identifiable basis to hold each other accountable for each activity agreed upon to nurture leads into paying customers. HubSpot CRM – is from HubSpot, renowned developer of well-regarded applications in sales, marketing and customer support. HubSpot CRM is absolutely free but compares nicely with the best paid names around. It effectively assigns and tracks your deals, controls the performance of your agents, and offers a single, detailed dashboard where all team members can keep track of the company’s activities. You can easily sign up for free HubSpot CRM here. Pipedrive – Regarded by many as the best CRM around, Pipedrive organizes your business leads in a way that will give you an excellent overview of your sales and allow you to focus on the deals that you want to prioritize. It allows not only email integration but also full customization. Freshsales – Powerful CRM and sales features combine to make this a favorite in the industry. The fourth addition in the Freshdesk product lineup, Freshsales is a world-class CRM designed for sales and marketing-savvy teams to keep track of contacts while handling multiple aspects of the sales process. Zoho CRM – From lead management to purchase control, Zoho CRM has you covered and much more. It’s built with powerful features to attract, retain, and satisfy customers to help you increase revenues. Zoho CRM not only manages your leads and contacts, it also handles your sales pipeline. bpm’online CRM – is considered by many as a highly agile CRM solution for medium and larger businesses for helping speed up various business operations such as customer service and marketing. The application makes it easy to align data, processes, and teams, enabling them to better connect with customers. Helloleads – Equipped with all the essential functionalities for efficient nurturing and driving engagement with leads, Helloleads provides businesses with the best cultivation practices to convert prospects into customers. This enterprise-class lead management platform features a mix of web-based and mobile lead management to suit the requirements of large-scale marketing teams, while small to mid-sized businesses can utilize the mobile app to manage and handle all engagements.